Ann Leckie’s debut novel Ancillary Justice won the 2014 Hugo Award for Best Novel. Best Novel: Ancillary Justice, by Ann Leckie. Best Novella: “Equoid” by Charles Stross. Best Novelette: “The Lady Astronaut of Mars” by Mary Robinette Kowal. Best Short Story: “The Water That Falls on You from Nowhere” by John Chu. Best Related Work: “We Have Always Fought: Challenging the Women, Cattle and Slaves Narrative” by Kameron Hurley. Best Dramatic Presentation, Long Form: Gravity written by Alfonso Cuarón & Jonás Cuarón, directed by Alfonso Cuarón. Best Dramatic Presentation, Short Form: Game of Thrones “The Rains of Castamere” written by David Benioff & D.B. Weiss, directed by David Nutter. Best Editor, Short Form: Ellen Datlow. Best Editor, Long Form: Ginjer Buchanan. Best Semiprozine: Lightspeed Magazine edited by John Joseph Adams, Rich Horton, and Stefan Rudnicki. Best Fanzine: A Dribble of Ink edited by Aidan Moher. Best Fancast: SF Signal Podcast, Patrick Hester. Best Fan Artist: Sarah Webb. John W. Campbell Award For Best New Writer: Sofia Samatar. 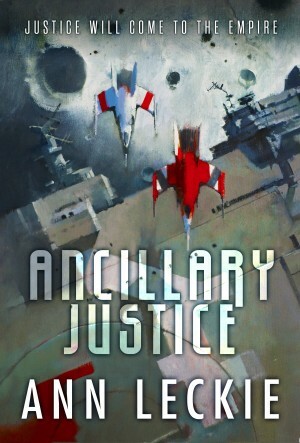 I’m diving into Ancillary Justice and will have a review coming soon. It looks like an intriguing premise – a space opera about a sentient spaceship inhabiting a humanoid body that is seeking revenge on its destroyers. Considering the hype and the accolades it has already received, including the Nebula, Locus, Arthur C. Clarke and British Sci-Fi Awards, I expect it to meet my expectations. It should be a thrill, especially considering it is Leckie’s debut. Also, all of the short stories are available free on Tor.com, just click the links above. This entry was posted in Hugo Award, News, Uncategorized and tagged Ann Leckie, Charles Stross, Dribble of Ink, Ellen Datlow, Game of Thrones, Ginjer Buchanan, Gravity, Hugo Award, John Chu, John W. Campbell Award, Julie Dillon, Kameron Hurley, Lightspeed Magazine, LonCon, Mary Robinette Kowal, Michael Senft, Randall Monroe, relentless reading, relentlessreading.com, Sarah Webb Art, Sofia Samatar, The Relentless Reader. Bookmark the permalink.